As the numbe r of older adults increases, more people are facing a reduced quality of life because of tooth loss. 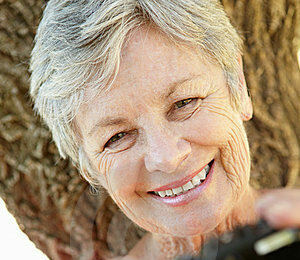 Edentulism is common among the elderly, and one survey estimates that 37 million Americans will need dentures by 2020. With this increasing demand comes an increasing need to offer a better solution. An article in the Journal of Oral Implantology reports on an alternative treatment to dentures. The “All-on-Four” therapy uses four implants to support a fixed prosthesis, and the patient’s new teeth can be put in place the day of surgery. Dental clinicians see the need to offer replacements for natural teeth that allow greater satisfaction and improved quality of life for their patients. The authors evaluated the survival of the All-in-Four treatment for a 29-month period. The All-on-Four implant designs have reported high survival rates between 92 percent and 100 percent. In this study, 165 patients, with a mean age of 59 years, received 708 implants. Overall, the survival rate was 99.6 percent, with only three implants failing. Visit with Dr. Jorge E. Larrondo to learn more about the All-in-Four treatment program. He will help you determine if this program is right for you. Larrondo Dentistry is located at 160 S. Santa Fe Street, Hemet, California.